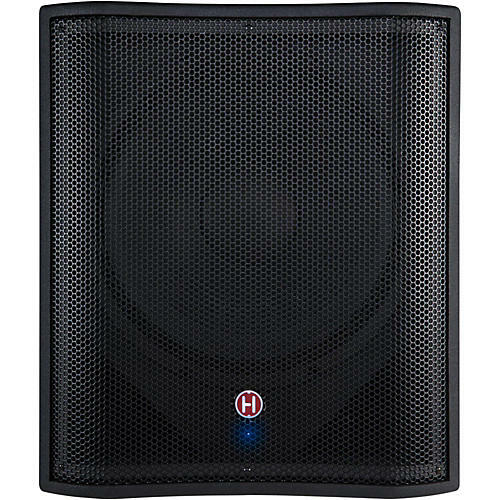 1,500W of chest-thumping bass in a rugged enclosure. The Harbinger Vari V2218S powered subwoofer is the perfect complement to the Harbinger V2212 or V2215 full-range speakers as well as other main speaker systems that could benefit from 1,500 watts of additional bass. Designed for complete control of your low end, the V22118S provides richness and warmth to acoustic and vocal performances, or deep drop bass to live band and DJ rigs. The V2218S also offers electric/acoustic design features not available from other manufacturers, such as an optical-limiter that provides a quicker response to potentially damaging transient peaks and preserves fine audio detail to the input signal. Also featured is a front-mounted, defeatable LED that makes it easier to quickly recognize any clipping issues. Comes with an integrated crossover with selectable crossover frequency control, level input and convenient 0°/180° phase switch to optimize the correct phase relationship of your sub for multiple speaker setups. Includes heavy-duty casters, side handles, and a sturdy 1-3/8” pole mount. Add thundering bass to your DJ or live sound rig. Order today.